Apple has launched their latest iPhone X series on September 12, 2018 and one of them is iPhone XS Max. The brand has brought few innovative and high-end gadgets to its fans across globe. This is the first time Apple has launched iPhone XS series with dual SIM option whereas the brand used to launch their device with one SIM just. We can appreciate on this. 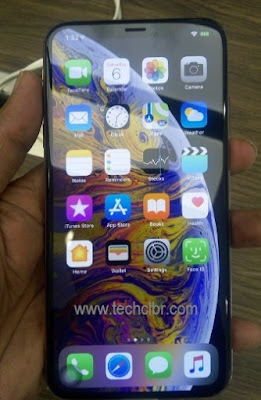 If you are interested to buy iPhone XS Max or would like to know more detail about iPhone XS Max smartphones key features, technical specification, price, first impression, review, comparison, unboxing and hands-on etc. then you could find some of them over here. The mobile phone is powered by A12 bionic chipset, hexa-core processor and coupled with 4GB of RAM. The internal storage of the cell phone is of 64GB/256GB/512GB variants. iPhone XS Max runs with the latest iOS 12 operating system and has Siri7 as well for additional features. The phone comes with dual rear camera with 12-megapixel (f/1.8, 1.4-micron) + 12-megapixel (f/2.4) and 7 megapixel front shooter with depth control. It has 6.5 inches super Retina display. The latest iPhone 2018-19 comes with dual SIM (nano-SIM and eSIM) and his device is not compatible with existing micro-SIM cards. You can check other features, specs and price detail below. Tips: One of the best smartphone to grab it.